If you like their protective smartphone and tablet cases, chances are that you'll also like their new in-ear headphones. That's right, Spigen's foray into the audio market is as real as it gets. Though for all we know these can simply be another rebranded pair of in-ears from an OEM. Not that it really matters as long as don't fall short. 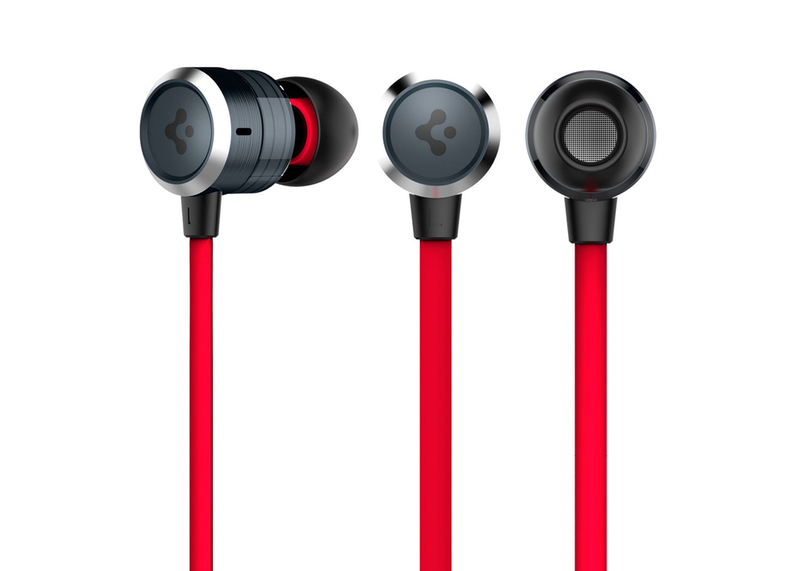 The Teka are Spigen's first Beats-inspired in-ear headphones crafted from aluminum with a wallet-friendly price tag. Like the Nocs NS500 Aluminum, the Teka's aluminum housing features diamond-cut chamfered edges, because we all know chamfered aluminum is really a must on anything that wants to look a bit more premium. With a fully featured 3-button in-line remote control made to work with Apple's iPhone and a built-in microphone for hands-free headset functionality, the Teka boast noise-canceling ear tips and 10mm dynamic drivers said to offer high quality naturally balanced sound with clear, amplified bass. 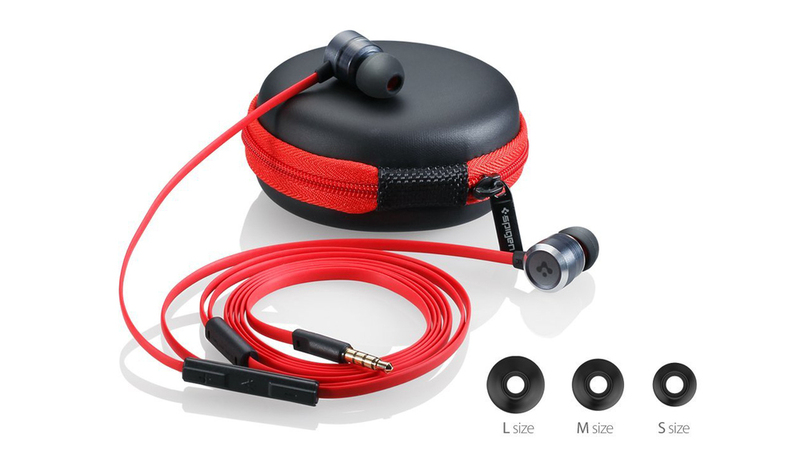 The durable and vibrantly red cable is tangle-free and features a flat design for extra durability. Spigen's aluminum Teka in-ear headphones are now available for $50, and include a protective hard case with three noise-isolating silicone ear tip sizes.